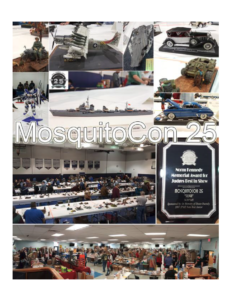 April 29th and 30th of 2016 saw NorEastCon 25 held at the Museum of American Armor in Old Bethpage, NY. Several of the NJIPMS crew made the trip out. All in all, a great show with good model turnout, and a great venue. Some photos below, more have been added to the Facebook page.